My wife and I decided to pay our tithes (to donate 10% of earnings to support the Church)not just because we thought the Lord wanted us to do so but also to thank Him, the Source of all good, for the blessings we had been receiving . It may have looked strange but the Company I had worked with ( Saipem) had recalled my services after 3 years of being out of work. As a blessing in disguise, just a few moments after we decided to offer our tithes an unfortunate thing happened in 1997 in the office on board “Israfil Guseinov” , a Pipelaying Vessel in Azerbaijan. I had an argument with one of the Inspectors regarding his complaint about his lost luggage at the airlines when he arrived on site. I would confess that I did raise my voice during the exchange in opinions and that made the other person lost his temper and patience and hit me straight to my face. I was surprised! At that time, I was on a very high morale, perhaps due to the fact that we had finally committed ourselves, my wife and I, to the Lord by way of tithes. And so the punch was not able to jar the spirit! I did not fight back. Revenge did not play a part. I prayed silently inside of me. I started to talk to God. How could this happen after one has finally returned to accept Him? And before I could even hear an answer the second punch hit my face again and finally a third strike. So much of a test of faith! At that instant the Purser next to me , a colleague of mine, stopped the man for further proceeding with his brutal act. Some blood gushed out of my bleeding nose. Dr Milorad Prso attended to me in the medical clinic. An hour later when things pacified the man approached me to ask for forgiveness. He explained that he had just received some bad news that his wife abandoned his family and so he lost control of himself. He was so sorry. He wrote his apology in a piece of paper and at the end of the line he promised on his own accord to pay me $3000 for the mistake that he had done. The trial was over! I passed the test! 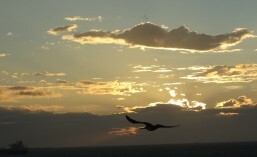 Forgiveness triumphed and I knew God smiled. I thought I heard Him said, “ Well done my faithful servant!” Humanity has inched forward a bit. It was not until another 3 years later when I discovered that giving tithes is the most rewarding thing one could ever do in this life. John Huntsman of America was interviewed in the CNN while I was in Nigeria and I could remember him saying that in the Bible, in Malachi Chapter 3, we are obliged to give part of our income in order for the Church to be able to perform its responsibilities. But why 10%, one may ask. For me it is comparable to someone purchasing a piece of property. Isn’t it that a down payment is necessary to show the commitment? 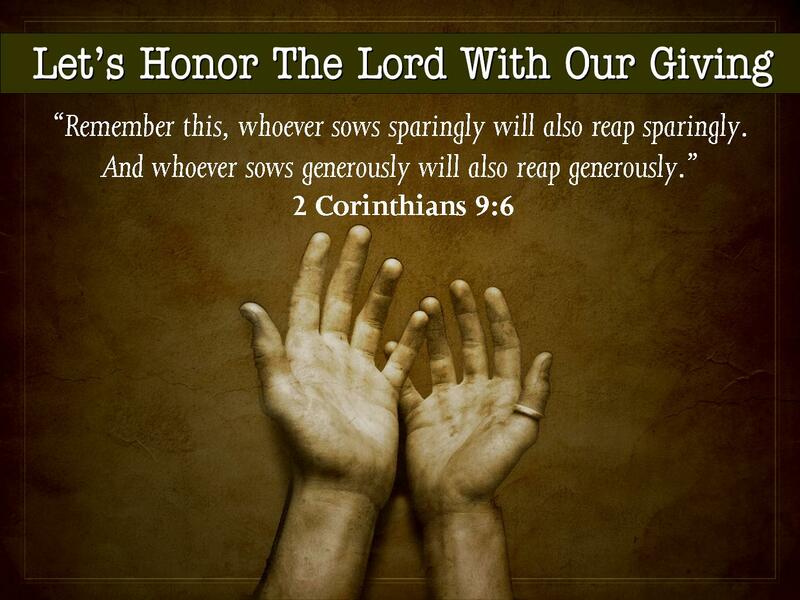 Well, likewise with tithing, setting apart the 10% of our income proves our real trust in the Lord. It’s the best litmus paper test to see what is inside the heart and soul. Moreover, doing it consistently shapes one’s character making him detached in material concerns keeping the closest relationship with the Almighty. I believe this is the key to human happiness! We need to connect to Him! We need to commit! We need to show our trust! We need to live with Him. Feel Him as He touches your heart while reading this story. Hold on to Him. This is true. The experience is being shared for you! He has been waiting….. Since then, my family and I have been seeing the mighty works of God, Opus Dei. Life has become more beautiful and so meaningful! Eureka! Saint Francis is called the little poor man of Assisi. He was born in the year 1182 in the town of Assisi in Italy. His father was a very wealthy merchant of Assisi. Francis was very joyful, soft-hearted and loving by nature, so he had many friends. All the noble men’s sons were his companions. Brought up in great wealth and luxury, Francis spent a considerable portion of his wealth in extravagant pleasures. He used to drink and party with the young princes of the land. One day while joking and laughing with his friends Francis was approached by a beggar who came along crying for alms. Francis, who was very compassionate, gave whatever he had in his pocket to the beggar. His companions mocked him for his charitable act. Dispassion dawned in his heart. The sight of the beggar set him thinking about the poverty and misery of mundane life and he began to give much money to the poor. His father thought that Francis was crazy wasting his money and rebuked him. Sometime after this, Francis was sick in bed for many months on account of some serious disease. He was about to die. The nature of Francis was entirely changed during that time as he spent much time praying and asking for guidance as to his future. He made a strong determination to renounce his old way of living to tread a life of purity and to dedicate his life to the service of humanity and nature which he saw as a manifestation of God. As soon as Francis got well, he informed his parents of his determination. They were disappointed and became angry with Francis. Francis gave up his old ways, threw away his expensive cloths and began to serve the greater good of all beings. He distributed clothes, goods and money to the poor. His father was very much annoyed at his son. He said, “Is this the gratitude you show to me ? I labored hard and amassed wealth which you are now lavishly wasting it on these miserable people”. Francis’ friends mocked at him and teased him. His father turned him out of the house. Francis lived like a beggar. His old friends even pelted him with stones and mud. He bore all of these things with patience and began a life of simplicity wearing simple clothing and eating simple food. Living in a cave in the mountains of Assisi Francis spent his time in prayer and meditation for two years. Some kind people gave him food, but very often he had nothing to eat at all. Francis was very humble and loved all of God’s creatures. He loved birds animals, plants, trees and nature itself. He loved the depressed and the outcastes. He treated the birds, the beasts and all beings as brothers and sisters. Francis invited people to join him in his life of service if they were willing. Bernard, a rich man of Assisi, was very much attracted by the saintliness of Francis and joined him. He was the first follower of Francis, placing all his wealth at the altar of God. Eleven others also joined Francis, including St. Clair who like Francis left a wealthy life of luxury to care for the sick and underprivileged. Together these eleven distributed all their wealth to the poor traveling all over Italy preaching, teaching, healing and blessing wherever they went. The gospel of kindness and love of Francis soon spread all over Europe and earned for him the name of St. Francis. People called him the little poor man of Assisi. St. Francis collected many followers and founded the Order of Mendicant Friars or Franciscans. The members of this Order take a vow of poverty, chastity, love and obedience. St. Francis gave up his mortal life in 1228. The followers of St. Francis built a beautiful church round him on the hill of Assisi, the hill he so dearly loved. The influence of St. Francis and the sweet aroma of his life live on until this day. The Relevance of St. Francis’ Teachings in Today’s World. The Life and teachings of St. Francis of Assisi have great relevance to the many problems that we face today, especially in terms of our perception and treatment of fellow creatures and the natural world. In his time, St. Francis was an antidote to the profane and dualistic beliefs of human superiority and separateness from the rest of Nature, a view of the world that is still widely held. Today, as we confront the secular materialism that was just emerging in his time, St. Francis is an inspiration and guide for the human relationship with and responsibility for the life and beauty of the planet. The relevance of St. Francis’ teachings could not be more acute today as science, on the one hand, affirms the sacred unity and interdependence of all of life and, on the other, serves those industries and ideologies that are destroying this unity and interdependence. All who share concern for humanity and the protection of animals and Nature may be inspired by the life of St. Francis to do all they can to insure the future and integrity of Earth’s Creation. “O Lord, make me an instrument of Thy Peace! The simple prayer of St. Francis of Assisi provides for us a mold in which to cast our own life’s conduct and character. It provides a blueprint upon which to pattern our living in our thoughts, speech and actions within our day to day relationships with our fellow beings and with all life around us. Therefore, the prayer of St. Francis is a precious document for us, an indispensable, invaluable frame of reference by which to judge our own lives, and referring to which we can do the necessary to bring about the needed alterations and modifications for the upliftment and purification of our own daily life. Padre Pio, an Italian monk from an obscure town,changed the lives of Catholics around the world by his prayers, his holy example, and his spiritual advice. Over 500,000 people were present in St. Peter’s Square for his canonization, and people have called this simple monk the holiest man of the 20th Century. He was the first priest to receive the Stigmata, and one of the few saints gifted with bilocation. You can also go to Rylands Papyri and use the insight browser viewer to search by Reference number for Greek Papyrus 470 and view it in zoomable high resolution. Description: This fragment was probably a private copy of a prayer addressed to the Virgin Mary. It is written in brown ink. The verso is blank. Lines 4-9: “Mother of God (hear) my supplications: suffer us not (to be) in adversity, but deliver us from danger. Thou alone….”. Aquired in 1917. Current repository: John Rylands University Library, The University of Manchester, U.K. 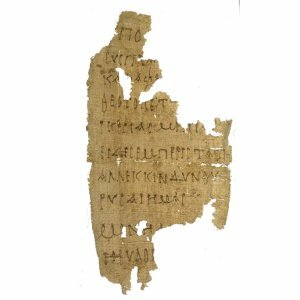 Thanks go to Frederica Mathewes-Green for bringing this papyrus to my attention in her book THE LOST GOSPEL OF MARY: THE THEOTOKOS IN THREE ANCIENT TEXTS. In 1998 while reading the book “Experiencing God” ( by Blackaby) which I bought in Chicago I came across a topic citing the Canadian Mounties being trained on how to detect counterfeit money in a rather peculiar way. They are not being shown a fake one. Only the true and genuine money is being shown to them. They study very well everything about the real thing and only about the real thing!. This caught my attention! It brought me something to ponder on. May we not do the same with our outlook in life? Why don’t we focus on the good things instead? They make us feel good, don’t they? Life is beautiful! Of course, we cannot disregard that bad things do exist but we can avoid our thoughts to dwell on them.